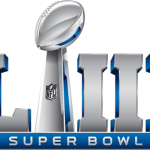 The over/under for Super Bowl 53 is set at 58, so oddsmakers are expecting a shootout. With the Patriots putting up 37+ points in each of their last 3 games, …. What a day of football we had yesterday. Two tight games, that both went to overtime, with plenty of controversy in both. In the end the LA Rams and New ….